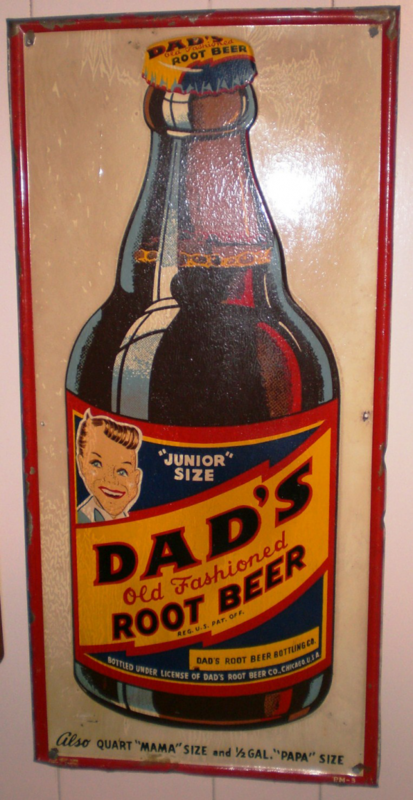 This is a rectangular Dad’s Root Beer porcelain sign. This particular Dad’s Root Beer sign features a bottle of Dad’s Root Beer. It reads, “Dad’s Old Fashioned Root Beer, Junior Size” and has a thin red border.